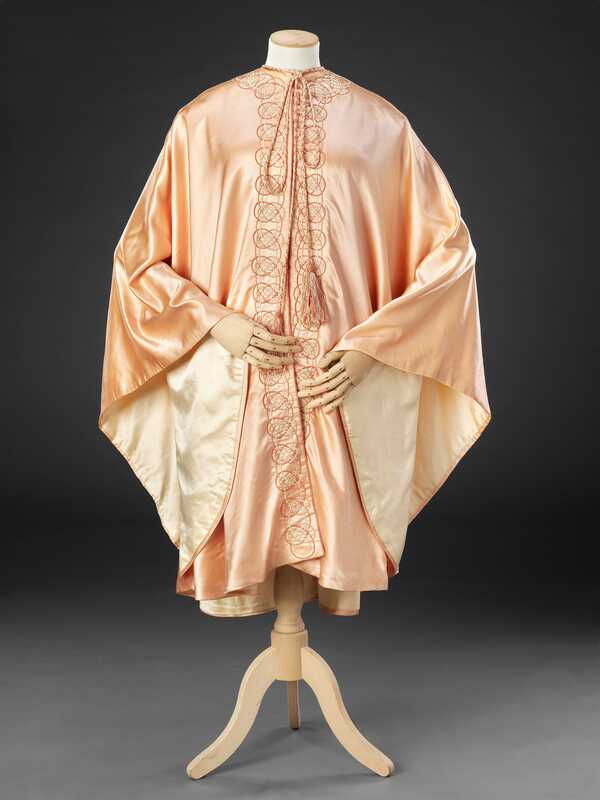 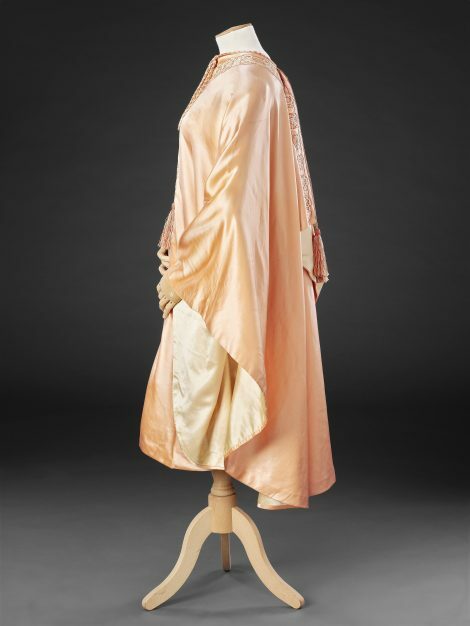 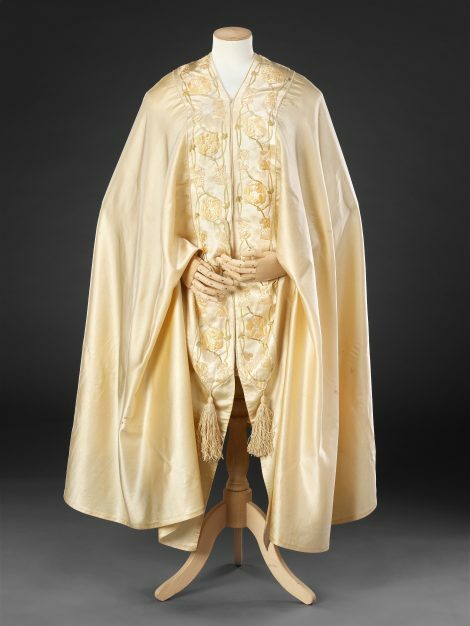 This loose cloak of pink satin, lined in cream satin and embroidered down the front, is very similar to those made by Liberty (see Related Items), though it has no identifying label. It is cut in two pieces which are machine stitched down the centre back to form two flaps that simulate a hood. The neckline is bordered with a plaited cord of cream and pink thread which is extended into a tie fastening ending in tassels. 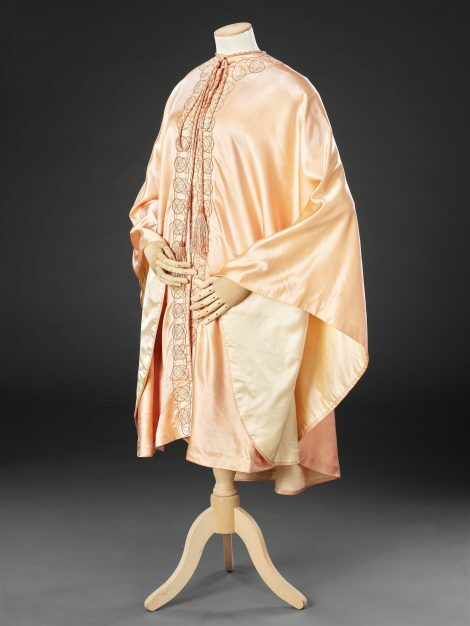 These features show the influence of the burnous, a simply cut and constructed cloak of Near Eastern origin with a mock hood and tassel decoration that was fashionable from the 1860s. 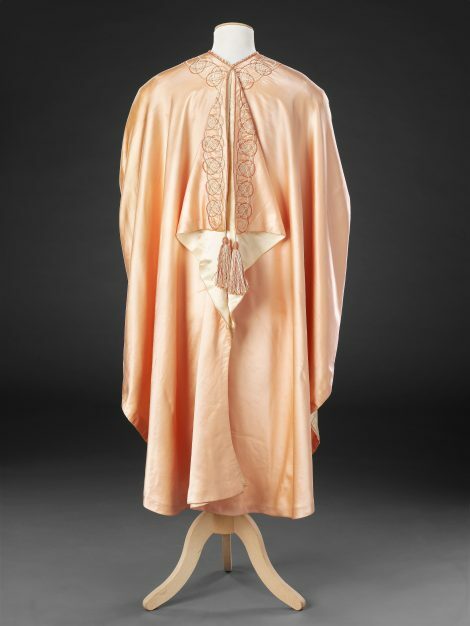 The borders are expertly embroidered in cream and shades of pink with bands of an interlaced Celtic design. 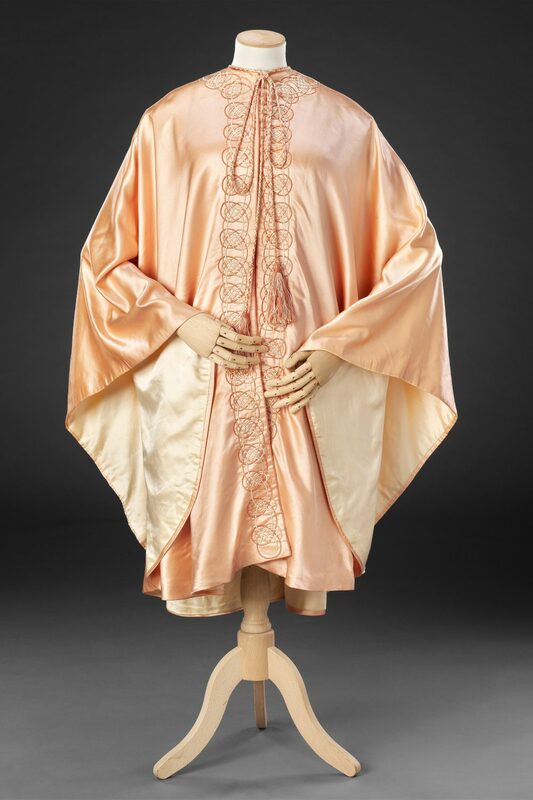 During the early centuries A. D. the Celts produced artefacts of very fine quality decorated with dense, coiled, curvilinear surface pattern. 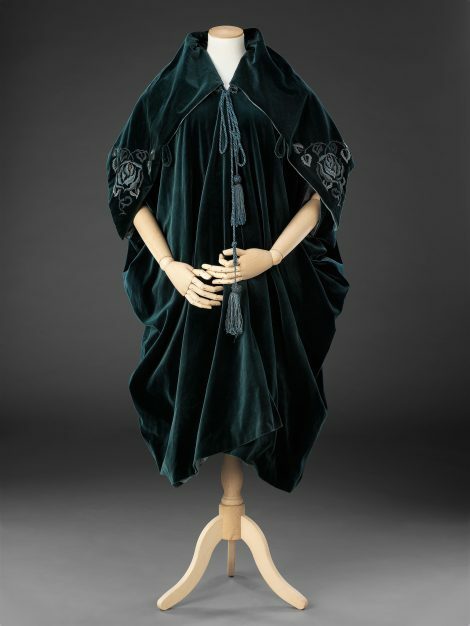 This style was revived in the later 19th Century in the design of similarly high quality wares such as pewter and silver ware, jewellery and book illustration by, for example, Morris and Co., Liberty, and the Glasgow School of artists and craftsmen.